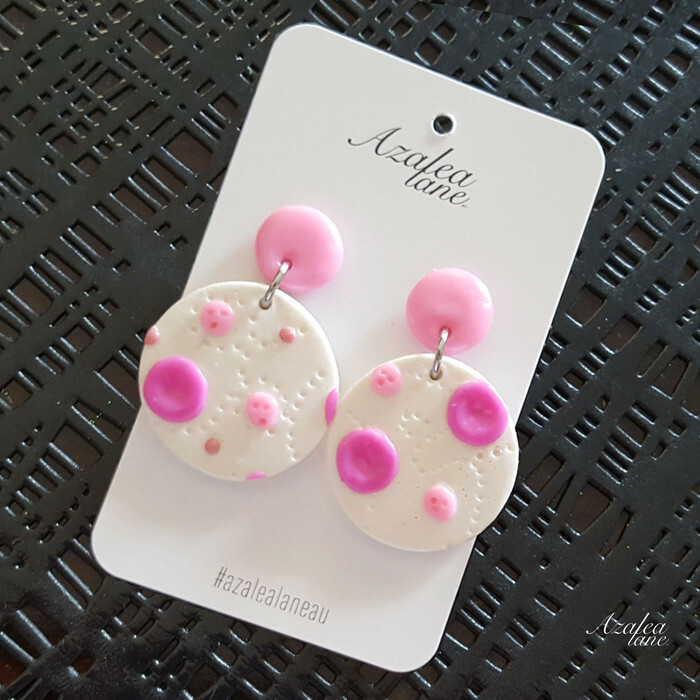 These are my Pink Polk Dot earrings, they have a sparkly white back ground with two pink colour dots and some hand embossing, I think they are super fun. They have been made with hypoallergenic posts and butterfly backs and also come with an additional silicone back as an option. These earrings as very light weight and easy to wear all day. Price is per single pair of earrings.